What is the BigQuery Data Connector for Google Sheets? 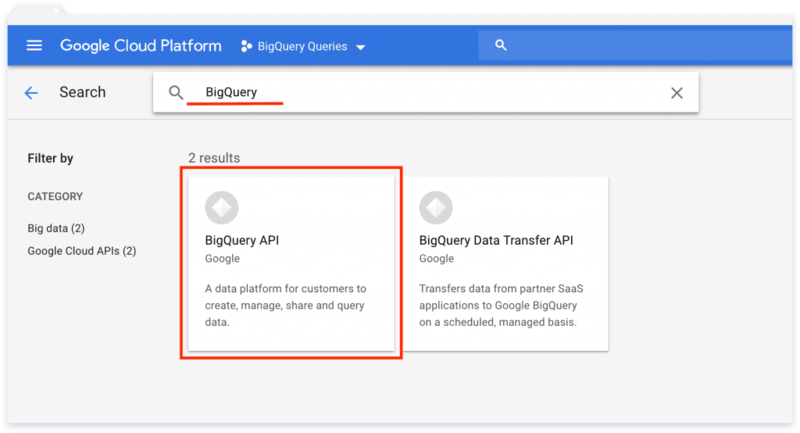 BigQuery connectors allow users to integrate BigQuery with other platforms—either data sources or analytics tools. 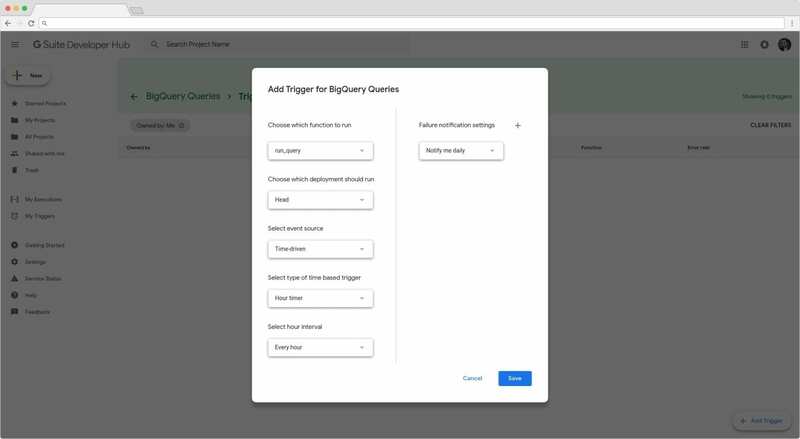 Google recently launched a BigQuery connector for Google Sheets which allows greater accessibility to your data. Large datasets can be intimidating for non-experts within your organization, and not all users need access to your full range of data. For big data practitioners, it is better to free up smaller amounts of data and distribute it to the members of an organization who need it, rather than requiring those who are less tech-savvy to query the system themselves. Google Sheets is intuitive and familiar for any users who are used to working with spreadsheets. 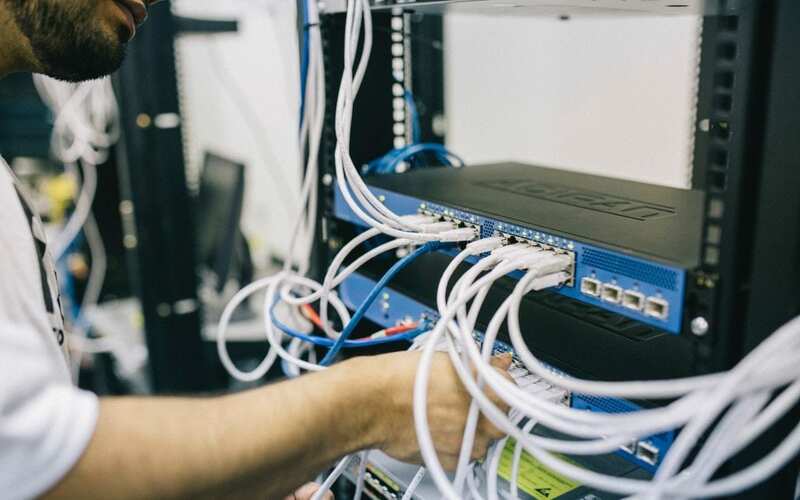 Learn more about the BiqQuery Data Connector in our first post in this series. Here at Sheetgo, we are all about automation and we love providing you with solutions—so we created a tool ourselves to automatically update the BigQuery data in your Sheets! 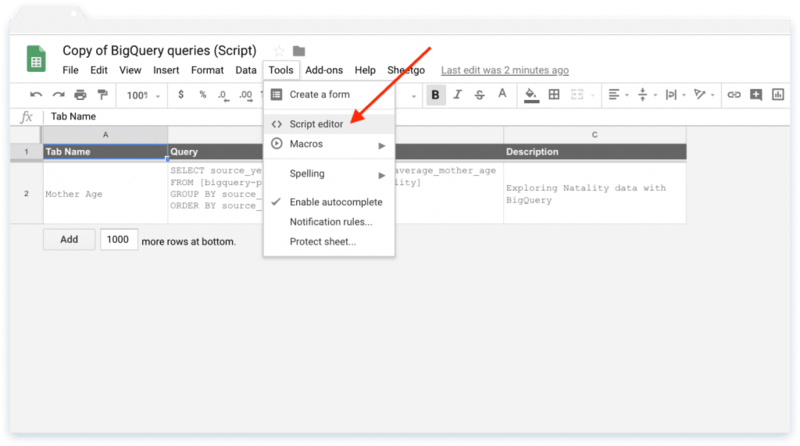 We made a script for you to install in your Google Sheets so that you can get data from BigQuery to Google Sheets automatically! Read on for a tutorial on how to quickly set up the script so you can get started on more important tasks! Open the template by clicking here. Click ‘File’ → ‘Make a Copy’ to get your own copy of this script, it will automatically save to your Google Drive. Be sure to make a copy of the template rather than requesting editing access. Your copy of the script will open automatically in a new tab. Click ‘Tools’ → ‘Script Editor’. A new tab will open in your browser. 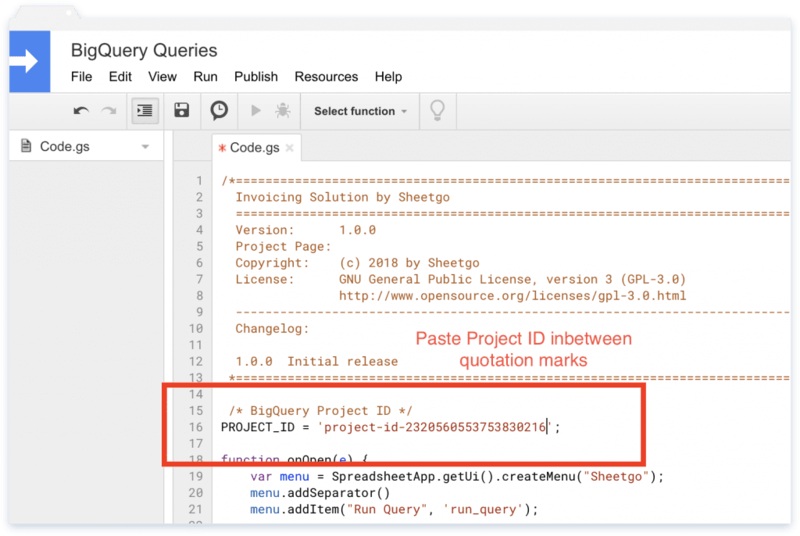 You then need to complete two steps: enable the BigQuery API (2.1) and get the Project ID (2.2). 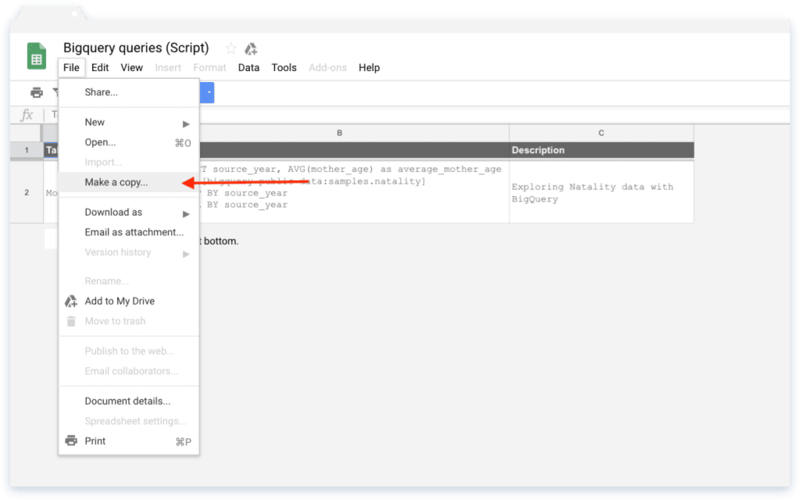 To enable the Big Query API, select ‘Resources’ → ‘Advanced Google Services’. 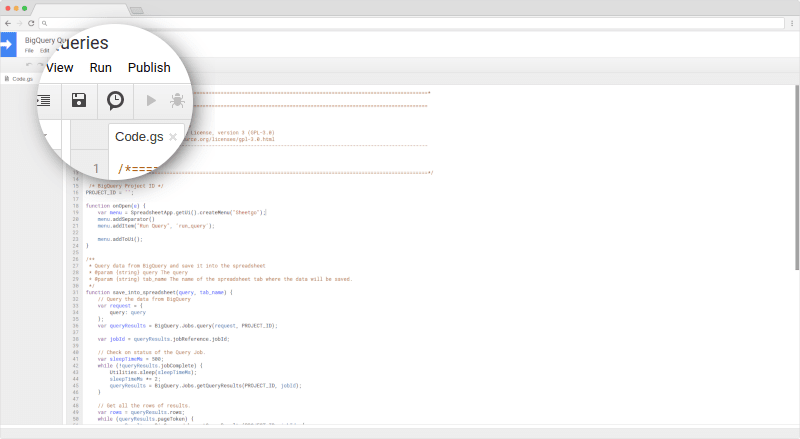 A new window will pop up, make sure the Big Query API is turned On. To get the Project ID, follow these steps. The screenshots below show detailed steps. 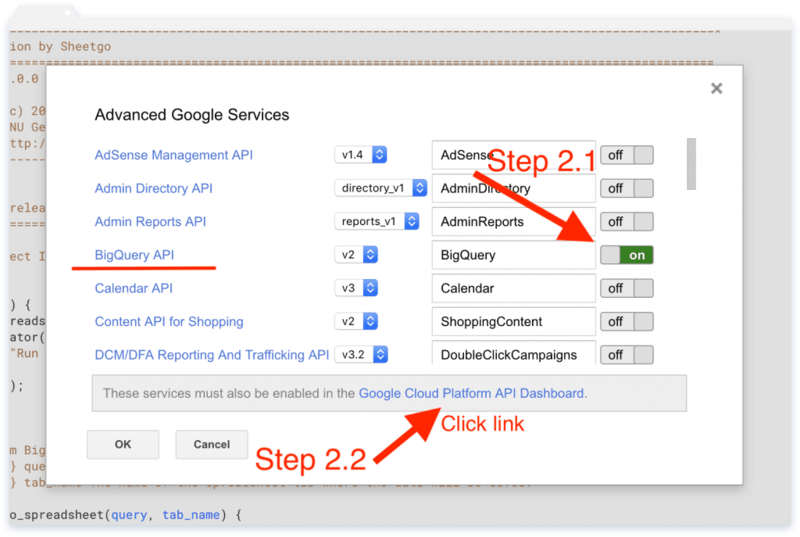 Click the hyperlink ‘Google Cloud Platform API Dashboard’. Click the ‘ENABLE APIS AND SERVICES’ button. 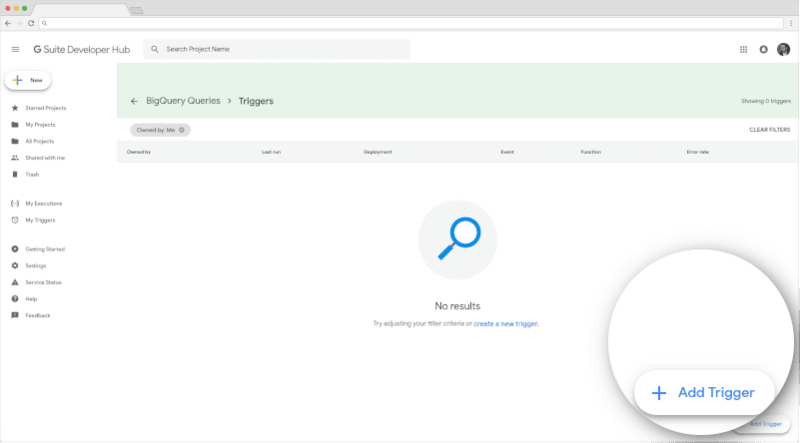 Type BigQuery into the search bar and click BigQuery API. To automate, inside the script, click on the clock icon. Then, click on ‘>Add Trigger’. In the following screen, you can set it up the way you prefer. Go back to your spreadsheet. Click ‘Sheetgo’ → ‘Run Query’ → ‘Continue’ → ‘Login’. That’s it! The script has been created! Now you can automatically import data from BigQuery into your Google Sheets spreadsheets! This Google Sheets feature only recently updated to schedule automatic updates within Sheets to the connected BigQuery data. Here is a breakdown on how to automatically import large datasets into Google Sheets and stay on top of the latest and critical company data. First, record a macro to refresh your data. Open the spreadsheet that contains the data connected to the BigQuery. Then record a macro from a different tab than the one you want to refresh. After starting to record, switch to the tab you want to refresh. At the bottom left, click ‘Refresh‘ and after that, click ‘Save‘.